Everyone is putting out their beverage trends for 2019, so I’ve condensed a few of them that I thought had application to the on-premise. It’s an amalgamation from several of the trade journals such as Forbes, Beverage Daily, Wine Enthusiast and others. In terms of cocktail trends, they see a continued increase in non- and low-alcoholic spirits, along with more edible garnishes and a continued increase in unusual ingredients and pairings. There is a lot of experimentation with vegetable-based cocktails and novel flavors, such as rose and turmeric, all adding to a growing list of fresh, creative cocktails. As new lifestyles emerge, younger consumers are adopting more plant-based products in their diet, which are considered to be a healthier alternative to animal-based food. Additionally, new coffee trends with almond, soy and coconut-based drinks continue to grow. Several reports point to a more holistic view of health with added environmental health trends supporting an overall feeling toward wellness. 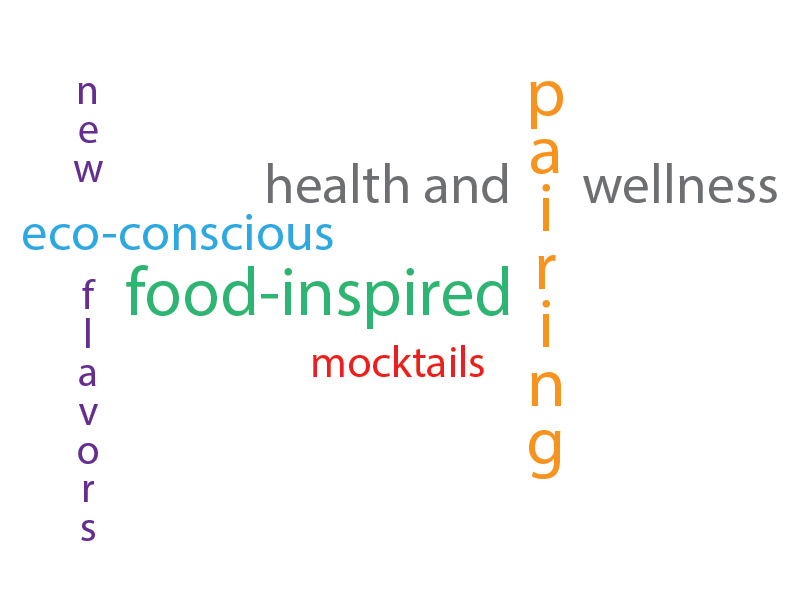 Consumers are looking for more superfood ingredients in their drinks. And as you can imagine, CBD will continue to skyrocket as a popular ingredient. CBD has been promoted as an aid for pain, nausea, seizures, anxiety and depression. In the wine category, Rosé continues its happy ascent with more new releases – frozen Rosé and even beauty products add to its growth. More wine producers are “going green” with sustainable eco-conscious winemaking. Other trends, such as reduced use of plastics and canned wine, have moved from being novelties to being mainstream, as more producers come onboard. P.S. You will notice we have changed our masthead to emphasis our commitment to the on-premise. Don Billings is the Publisher and Editor-in-Chief of "in the Mix" Magazine. He is also President and CEO of iMi Agency for the past 20 years.